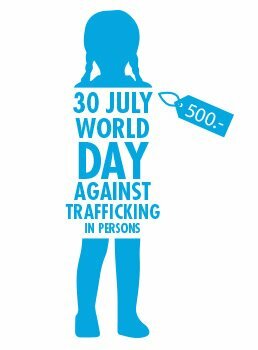 July 30th marks World Day Against Trafficking in Persons. The office of the Status of Women, Government of Canada retweeted about it, as did many others, raising awareness of the devastation committed against trafficked persons, many of them children, most of them female. The United Nations has defined trafficking as: “the recruitment, transportation, transfer, harbouring or receipt of persons, by means of the threat or use of force or other forms of coercion, of abduction, of fraud, of deception, of the abuse of power or of a position of vulnerability or of the giving or receiving of payments or benefits to achieve the consent of a person having control over another person, for the purpose of exploitation. Exploitation shall include, at a minimum, the exploitation of the prostitution of others or other forms of sexual exploitation, forced labour or services, slavery or practices similar to slavery, servitude or the removal of organs”. From 1869 to 1932, Canada participated in a child emigration scheme hatched in the UK which saw more than 100,000 children brought into the country for labour, mostly domestic work for girls and farm work for boys. These children were not orphaned, as many were lead to believe. Their crime, or the crime of their parents, is that they were poor. The governments of the United Kingdom and Canada entered into an agreement to remove these children, often right off the street, ship them to Canada and send them to Canadians who needed an “extra hand”. Surviving ‘home children’ and their descendants tell stories of physical and sexual abuse by their ‘host families’. The British Home Children scheme was state-sanctioned child trafficking. And despite efforts of many, and an acknowledgement from the House of Commons, the Prime Minister of Canada has not issued a formal apology for this atrocity. Read more about the British Home Children. This year’s theme for the International Metropolis conference is Migration and Global Justice. immigrantchildren.ca has reviewed the program (to date) and have found what looks to be a fascinating workshop about children’s sense of belonging and play. “It is these principles that also guide the idea that children should be considered with their own agency, capable of developing social capital in their own right, not only in relation to adults: ‘ the social capital of children in often ‘invisible’. Further, it is often seen as an ‘asset’ for future benefit, not something ‘in their lives in the present’ (Colbert, 2013). A pro social, experiential, approach to programming could employ a culturally competent and trauma informed approach to learning and development that draws on the participants innate resilience in a time of significant adjustment and resettlement. “It has been our experience that play promotes normalcy, healing, and healthy behavioral development – as well as supports the complex process on integration into a new community following a period of crisis, trauma, or forced migration. This workshop will speak to the approaches used towards establishing a range of partnerships in order to engage children and youth in the local community, culture, and language through various forms of play, while remaining sensitive to culture and background”.